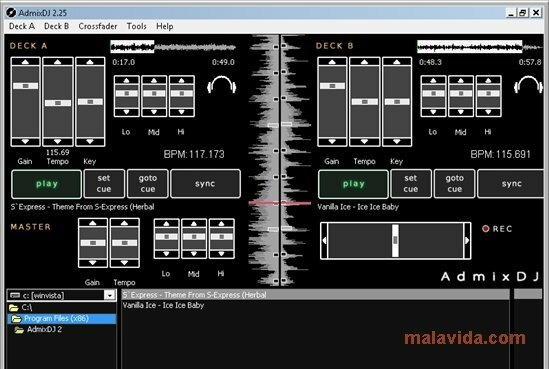 Many current DJs have abandoned their old Technics decks and their Pioneer mixer, and they have substituted them with a computer and a good mixing software application, making their equipment lighter, improving the features and easing there work greatly. 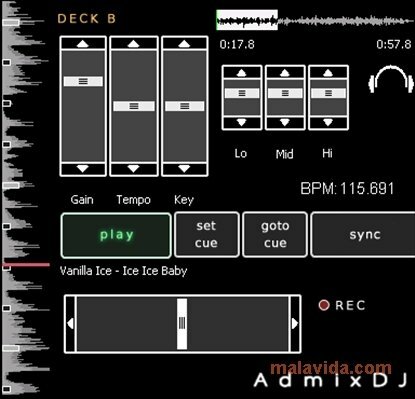 If you want to start mixing with an application that will help you to synchronize songs, with a simple interface and with the necessary elements as to pass at a later moment to a professional application, you should try AdmixDJ. 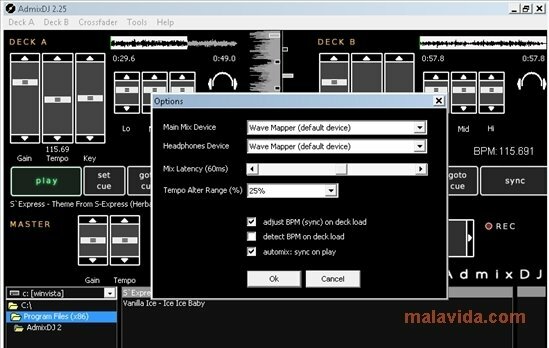 This tool has two independent decks, that have waveform viewers, independent gain, tempo and tone controls, a system that calculates the BPMs (beats per minute), 3 band equalizer and transport control. 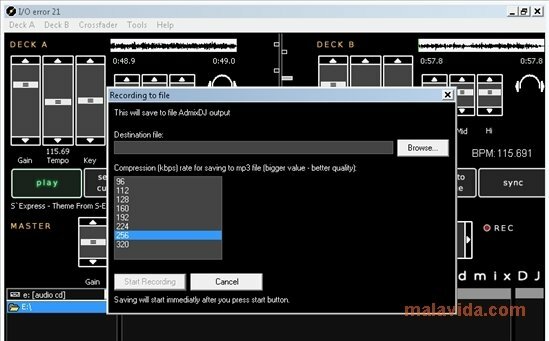 You will be able to prepare your songs before playing them, thus being able to see which ones are most similar. Selected the themes that match most from your library and become the real center of attention of every party you go to with AdmixDJ. The trial version can only be used during 14 days.